SEO is the ongoing process. So, if you are still thinking that your previous SEO marketing strategy will give you a better ranking in 2018 then you stop thinking about your last year strategy and start creating SEO marketing strategy for 2018. So, stick with this post until the end because I’m going to share the 8 simple steps that help you to create SEO marketing strategy for 2018. We all know that Google changes the ranking algorithm on daily basis and we also have to admit that we don’t even know all the ranking factors. Many business owners and website owners know the importance of SEO marketing strategy. And they are ready to spend countless dollars and hire the SEO agency. But without doing this and wasting your money by hiring the SEO agency you can build the successful SEO marketing strategy for 2018 on your own. Design or architecture is everything when it comes to a website or anything like the house you live etc. Because when any user will land on your website, the design is the 1st thing he’ll notice. Your website has to be user-friendly. Website structure is also a very important factor for SEO. By Google’s report, in 2017 most of the searches occurs in the mobile device and if we compare this data with desktop searches then 60% of Google searches occur in mobile devices. Because nowadays people spend their pass time on Smartphone. So, just think about this case, if your website is not responsive then you may lose 60% of organic traffic. You should also take care of website loads up speed. If your website loads up time are more then you may also lose your visitor. You can use Google Test My Site tool to determine estimate visitor loss due to loading time. You can also use Google PageSpeed Insights tool to determine your website speed and other technical factors that directly affect the website load up speed. There are 2 other tools that give you a nearly exact idea about your website speed and other technical factors; 1st is Pingdom and the 2nd one is Web page Test. Both are completely free and I personally prefer. After optimizing your website, the next step is to prepare the list of keywords. You should find out some keywords which are relevant to your business or services you offer and remove the remaining keywords from the list. Now, you have a proper list of the keywords which are most relevant and describe your business or services. You can use Google Keywords Planner tool which is free and easy to use but it has some limitations. Like you only get the limit of Avg. Monthly Searches, not an exact figure. But you can find some additional keywords and variations that make sense to your business. You can also sort it by competition. So, I like this tool and it helps me a lot to find the best-suited keywords. 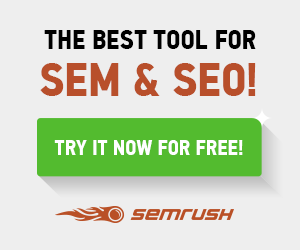 There are many tools that allow keywords research but my most favorite tools are SpyFu & SEMrush. But these are paid keyword research tools. In the free version, you will get some keywords but here you will get the exact number of Avg. Monthly Searches. So, you get an actual idea about your keywords. A website has many WebPages like blog, services, courses, products etc. So, you have WebPages which are important. So, instead of optimizing the only homepage you should also consider optimizing your important landing pages. So, if a user searches for your service then your services page should have rank otherwise you may lose your customers. For that, you have to list out the important landing pages which you want to rank for. Then use your keywords from the list and start optimizing. So, this will make it much easier for your customers to find your services or products and it will improve the overall user experience of your website. Once you prepared the list of keywords, now you can create the meta tags. List out all the URLs of your website in the spreadsheet. Add one or two keywords from your list into title and meta description. Please don’t add more than 2 keywords and try to make it more informative. Because it’s a 1st thing user will notice before he lands on your website. You can add your brand name at the end of title and meta description which create brand value, in result your domain authority also improve. The blog is the best way to reach your audience & create more user engagement. You can describe your product or services in the blog post. And the best part is every post you can optimize for better ranking in SERP. So, just think about if your website doesn’t rank but your blog post ranks then your website will get traffic. And once the user lands on your website by blog post and supposes he’ll like your post then he may be check other pages of your website. So, I think the blog is the best way to reach your audience. As I said, suppose he’ll like your post only then. So, your content should be original and informative. Your post should be more than 300 words because if you add less than 300 words Google will count it as a Thin Content. That means this content doesn’t provide any information and your post will not rank in SERP. So, thin content will affect your SEO strategy very badly. More than 1000 words and 2000 words articles have the chances of getting higher rank in the SERP. So, if you don’t have a blog on your website then consider adding one and write a post per week. After successful completion of On-Page Optimization activities (1st 5 steps), now this is the best time to start Off-Page Optimization. You can do link building in many ways like social bookmarking sites which have higher domain authority and most relevant to your business. You can also create a post and share it on social media like Facebook, Google+, LinkedIn etc. Social media sites have the higher domain authority and it will create more user engagement. The chances are high of getting viral your article on social media. And the best part is some of the social media sites like Google+ & Quora rank in the search engine. You can also contact some blogger in your niche and do guest blogging on their blog in exchange for backlinks. You should consider using Google Trends because it gives you the trending information in your niche. So, just find it and start writing about it. But the best way to create the quality links is creating a quality content on your website. So, people automatically attract to your website and they share it on their social media and you will get quality backlinks. That’s why [KiwiClickToTweet tweet=”content is king” quote=”content is king”]! Read More: What is Link Building? Why is Link Building So Important? After doing all the SEO activities including On-Page and Off-Page, you should measure your SEO efforts. We all know, SEO is never ending process and it requires a lot of efforts. If you are spending a lot of time and efforts without knowing the output! That doesn’t make any sense. Right? You can measure your SEO efforts by using Google Analytics reports. You can see all the details regarding traffic, source, and medium, geo, locations etc. in the given time frame. You should create a monthly report or quarterly report depending upon your business needs in the spreadsheet. Once you create the reports then you can take further steps like if you got low traffic from social media then try to focus on social media or if you get low organic traffic then check the search queries and landing pages etc. It gives you what you need to improve. You can also check the number of indexed pages of your website by Google Webmasters tool. By Google Webmasters tool, you will get information about technical issues or security of your website like crawl error, 404 error, server error etc. By search analytics, you will find the search terms that users used before landing on your website and that is very important information. So, it’s very important to measure SEO efforts. Read these blogs on daily basis to get updated with the latest news in SEO.